Why should we care about gender equality in the Power Sector? The Annual PPA Conference and Trade Exhibition is the premier knowledge-sharing event for staying updated with the latest developments and key issues in the Pacific’s energy sector. Each year around July/August, a diverse mix of electric utility and energy professionals including project developers, equipment suppliers, service providers, regional organizations, government officials and development partners convene at a location in the Pacific to network, discuss issues, exchange knowledge and build business. 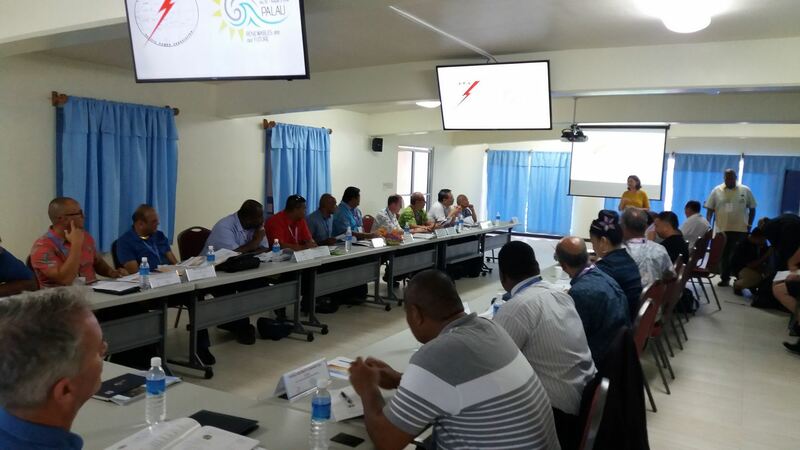 In 2019, the PPA delegates will be congregating in Rarotonga, Cook Islands from 1 – 5 July for the annual event. Present activities within the Pacific region in energy is without doubt a reflection of the push for greater renewable energy contributions to the islands energy mix to bring energy security, reduce dependence on fossil fuels and do our bit in addressing climate change. In our aim to achieve these sometimes conflicting objectives, all the relevant stakeholders must ensure that the greater contribution by renewable energy to the nation’s energy supply must be sustainable, reliable and affordable. This is more so given the nature of renewable energy and the changes taking place in the electricity sector brought about by the rapid progress in the industry. Sustainability, reliability and affordability are relative terms and can mean different things to different people. A tariff of 20cents per kWh may be affordable for some but not others. A system with a high SAIFI/SAIDI may be unreliable to urban customers but acceptable to rural customers because of different priorities. How do we strike a balance on all these important issues? As part of the Annual Conference and running in parallel to the main event there will be workshops for Utility Board Directors, Engineers, Technical Staff and training organized for other delegates. Ø Papers are NOT to be commercial in nature but can explain principles of commercially available technologies. Ø The official language of the conference and proceedings is English. Ø It is important that any paper in PowerPoint presentation form should also be accompanied on CD by an associated full article on the same topic suitable for inclusion in the Pacific Power Magazine. (i.e., with written text or Word format). Ø In the case of Papers accepted for the conference, the authors or his/her representative will be expected to attend to make the presentation. Submission of an abstract therefore implies a willingness to attend. Please check any necessary formalities concerning attendance to the Conference before submitting the abstract. It is noted in previous conferences that the above conditions have not been fully complied with. It is a pre-requisite of acceptance that presentations for the Conference strictly conform to these conditions. Presentation of papers is open only to members of the Pacific Power Association. If there are insufficient papers from members, then the Secretariat will seek contributions from outside the membership. The deadline for submission of abstracts is Tuesday 30 April 2019, at 16:30 Suva time (+12 GMT). Submissions must be short (no more than 200 words) and to the point. Abstracts should not have a lot of general theory and background. Instead, they should highlight innovations, concrete outcomes and achievements, and explain why and how the presentation will provide value to the delegates attending the event. The abstract together with a brief CV/Bio (less than 100 words) and a passport size photo of the author should be emailed to the Secretariat. Authors will be notified of acceptance (or otherwise) as soon as the Abstracts have been reviewed by the Secretariat. This notification will be provided no later than 17 May, 2019. Final Papers must be emailed to the Secretariat by 6 June, 2019. It is a condition of approval to present that both the power point presentation and the paper in word format is provided to the PPA Secretariat by no later than 21 June, 2019. Conference or Technical papers will be presented for 20 minutes with an added 10 minutes for questions and answers. Facilities available at the Conference venue for presentations will include PowerPoint and a multimedia projector.